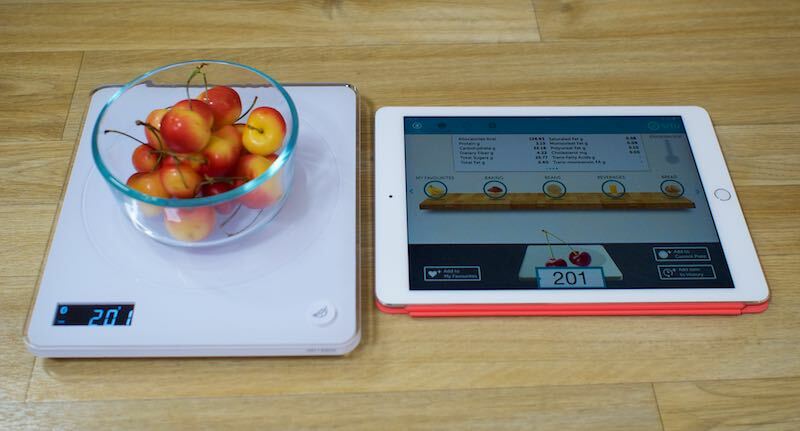 The Situ Scale, which originated as a Kickstarter Project, is an iPad-connected food scale that's designed to offer up a more precise picture of the calorie and nutrient content in the food you're eating by measuring portion size in ounces or grams and storing nutrition information in an accompanying iPad app. You can take a handful of crackers or an apple, place it on the scale, and get a calorie and nutrient estimate that's based on weight, which is more accurate than using a nutrition measuring app alone. In many apps, the only option would be to enter "medium sized apple" or "13 Goldfish crackers," whereas the Situ Scale can use the weight of what you're eating for a quicker, more reliable measurement. I went hands-on with the Situ Scale and I was impressed with what it has the potential to do, but there are some definite caveats to the product. 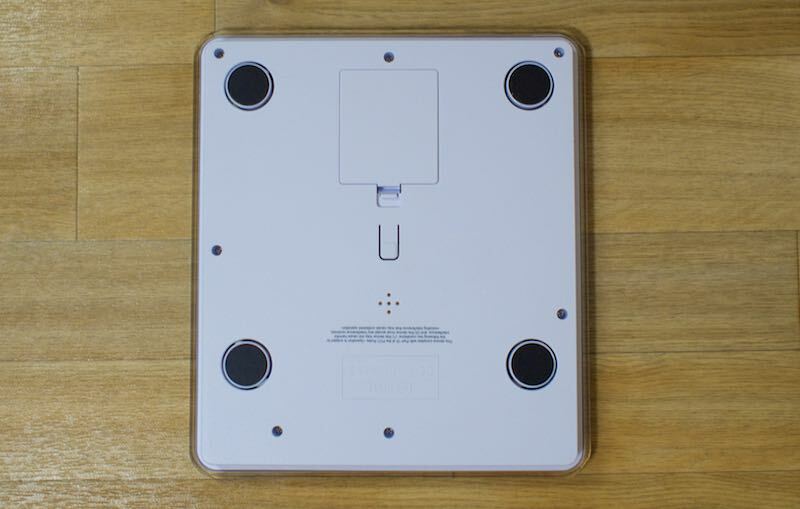 I had no complaints about the scale itself, but as you'll see in my review, this is not a product that's going to work for everyone due to the limitations of the iPad app. The Situ Scale looks and functions a lot like other scales one might purchase for the kitchen. It's made from a sleek white glass-topped plastic that was a good aesthetic fit in my kitchen and is likely to match with most kitchen decor. It's big enough to hold a large bowl, but not so big that it took up an excessive amount of countertop space. It's powered by two batteries and controlled by an on/off switch on the side. When turned on, it pairs with an iPad over Bluetooth, a function that worked flawlessly. Every time I turned it on it connected to my iPad within a matter of seconds, without fail. 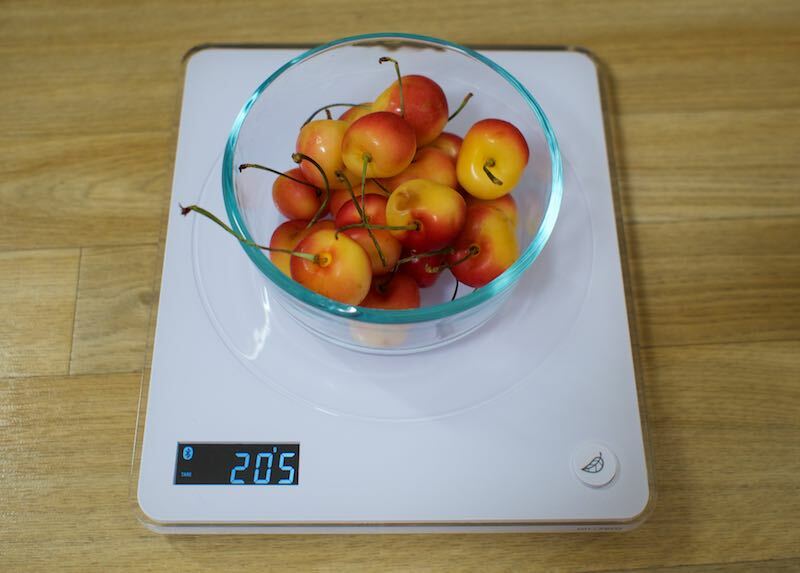 Aside from the Bluetooth connectivity, it works as any other kitchen scale. There are rubber feet on the bottom to raise it up slightly and keep it from slipping around on a countertop. The scale measures food in grams or in ounces. It's able to measure food items placed directly on it or in a bowl or container after the weight of the container is tared. 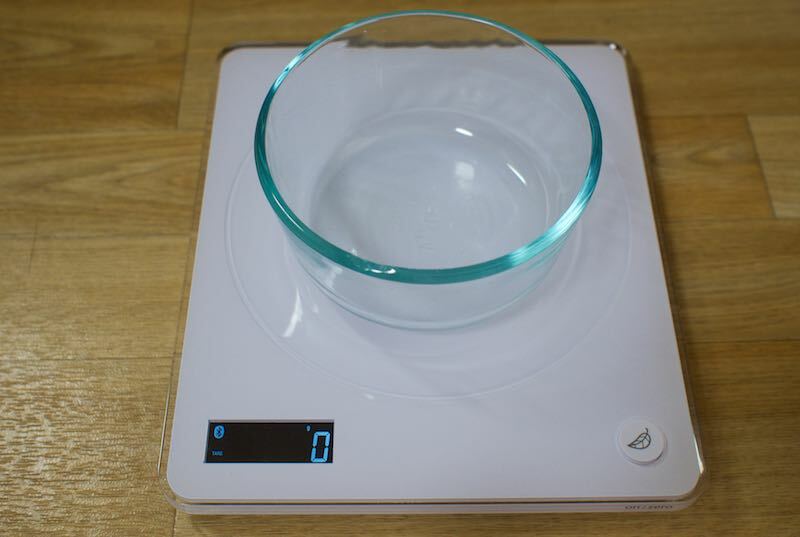 Taring is done by placing the empty bowl on the scale and pressing the button on the top to zero it out. Food weight the scale detects is automatically transmitted to the iPad, where the accompanying Situ Scale app can be used to identify the type of food, adding its nutrients and calorie count to your daily plate. 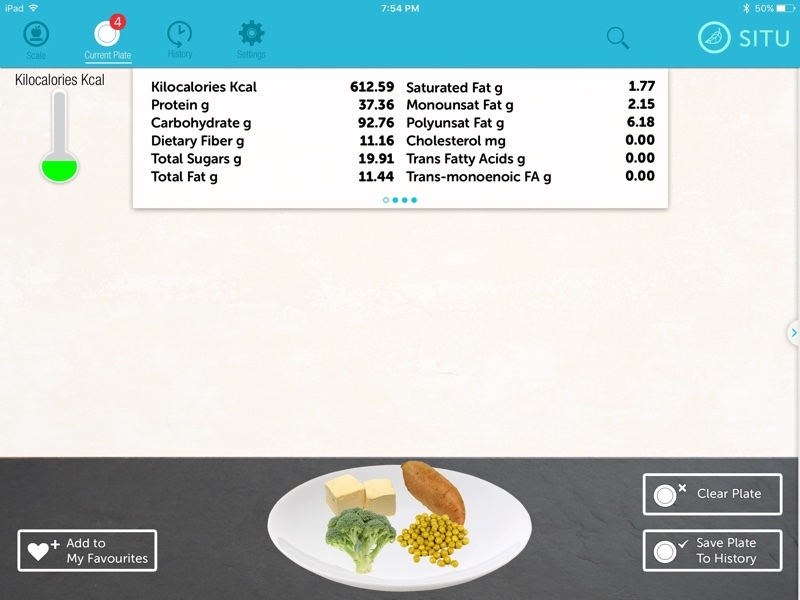 Because the scale itself does little beyond transmitting weight to the iPad over Bluetooth, it's the app that includes all of the meaningful features that make the Situ Scale "smart," translating weight into different foods and adding up the nutritional value of what you're eating. For a product like the Situ Scale, the functionality of the app is incredibly important, and unfortunately, the Situ app is missing a lot of key features right now. With most calorie tracking apps on the market, there's a large database of foods and an option to add foods that aren't included in that database, because to get an accurate measure of what you're eating, you need to track each and every thing that goes in your body. 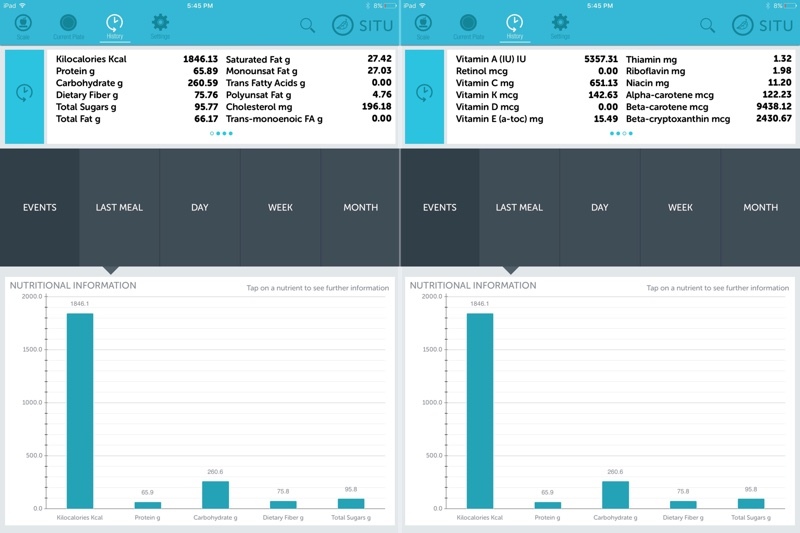 With the Situ app, there is no way to add your own foods, and the database that's included is rather limited. You can add an item like potato chips, but there's no way to differentiate between a standard bag of Lays potato chips and a bag of baked chips. Both are "potato chips," but have very different nutritional profiles. Measuring the chips you're eating using the app's potato chip entry is often going to be inaccurate, and that nullifies measuring by weight in the first place. The potato chip example is true of a lot of different foods - the included database is limited in scope and is unlikely to contain accurate information for all of the foods that you eat on a daily basis. There are a wide range of fruits, vegetables, nuts, meats, and other whole foods in the database, so the app is potentially suitable for people who eat a healthy diet composed of these types of foods. A whole foods diet free of preservatives and additives is what the Situ Scale aims to encourage, but most of us probably eat a few pre-packaged foods every now and then, which can't be accurately tracked. Several basic foods I expected to find were missing from the app, like sweet potato fries, and others were labeled oddly and were difficult to find. The app has both a search function and the ability to look through categories of foods like "Baking," "Bread," "Cheese," "Deli Meat," and "Fruit," but some things are mis-categorized and others don't come up in search when they should. As an example of the limited scope of the app, here's everything listed in the beverage category: acerola juice, coffee, grapefruit juice (pink), grapefruit juice (white), lemon juice, lime juice, passionfruit juice (purple), passionfruit juice (yellow), and tangerine juice. There's no soda, no tea, no flavored waters, no Gatorade, or anything else one might regularly drink. Milk and some similar beverages are in the app, but aren't listed in the "beverages" category. And when a search for juice is conducted, you'd expect the aforementioned beverages to pop up, but what's displayed is Cured Ham and Oscar Meyer. 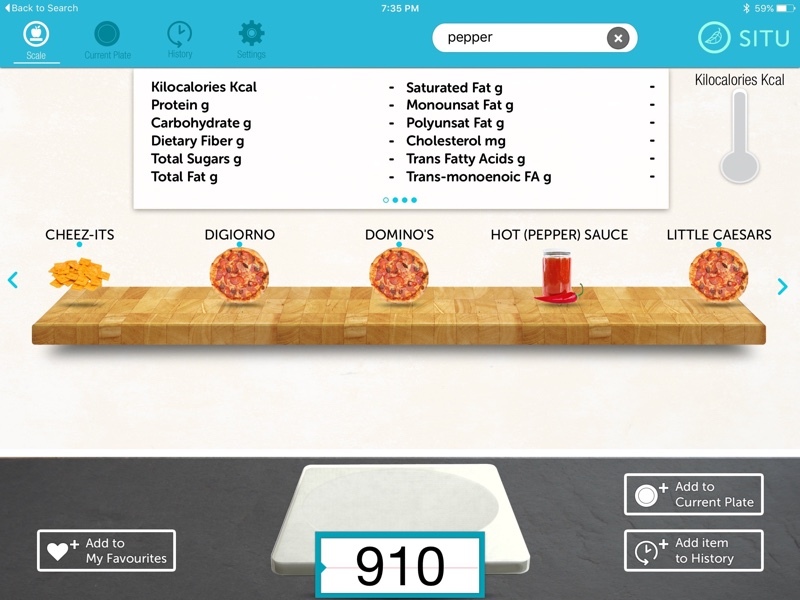 The results that come up in a search for "pepper"
To use the app, you add food for each meal to a plate, which is a process that feels clunky with too many steps. You need to locate the food that you're looking for, such as cherries, select the correct option (for cherries, you can pick "Sour, Red" or "Sweet"), drag the little icon for cherries down to the plate, and repeat for each food. It's a cutesy interaction, but in practice, dragging each and every item to the plate is an annoyance, especially because it's not entirely clear that you need to narrow down a category (choosing, for example, sour or sweet with the cherries above) before being able to drag an item to the plate. I do actually eat and cook with a lot of whole food ingredients that are found in the app, but when trying to get a calorie count for some chili I was cooking, I ran into another major problem. I was cooking a huge pot of chili, more than I'd eat in a single serving, and while I could add all of my ingredients to the app, I couldn't then measure out a bowl of the chili to get a calorie count. All I could do was add the entire pot of chili to my plate, skewing my daily calorie count. It would be incredibly useful to be able to calculate the calories and weight of a meal as I cook it and then use that information to figure out the nutrients in a single serving, but that's not possible in the app. Since most of us probably don't cook dishes in single serving portion sizes, even when you do consume meals made up of foods in the app, it's impossible to track them. If your daily meal plan consists of something simple and single serving like oatmeal for breakfast, a snack of almonds and an apple, a lunch of rice and chicken breast, and a dinner of salmon with broccoli, the Situ Scale is perfect because you can track all of those ingredients. If you eat a hamburger from McDonald's for lunch and then go home to cook a pasta dish for the family, it's nearly impossible to track what you've consumed. I've covered a lot of the negatives in the app, but there are also a lot of useful features for people who are able to eat within the boundaries of what the Situ Scale can track. There's a history and a favorites section to make it simpler to add foods you eat on a regular basis, and there's a huge amount of nutritional information available for foods that are in the database. It tracks calories, fat, protein and sugar content, but it also tracks vitamins and minerals. Each meal's nutrient content can be viewed in-depth by tapping on "Current Plate" at the top of the app, and there's also a "History" tab. With "History," you can view nutrition information for the last meal, day, week, or month, which is useful for getting a long ranging overview of your overall consumption habits and health. Most of the popular calorie tracking apps on the market do not offer this level of nutrient tracking. There are also gauges you can use to track key aspects of what you're eating if you want to keep a close eye on your intake of calories, fat, protein, or other nutrients, and when adding food to your plate, there's a handy pullout drawer that makes adding spices and oils you might not need to weigh to your plate. You're also able to enter your own guidelines for calories, fat, sugar, and all individual vitamins and minerals if there are specific nutritional needs you have to meet, and the app supports multiple accounts so the scale can be used by more than one family member. I spoke with the two-person team behind the Situ Scale about my experience with the Situ app, and was told there are some major improvements in the works. My two primary complaints about the app, the inability to add custom foods and the lack of portion splitting, are already features that will be added in an upcoming update, scheduled for September. The app will also be expanded to the iPhone in the future. An app update that includes interface tweaks, bug fixes, and stability improvements has already been submitted to Apple and will bring some immediate improvement to the way the app works. As of today, there's also an SDK for the Situ Scale, which will allow third-party developers to add Situ Scale support to their apps. This will hopefully lead to a much wider range of available apps that can be used with the scale in the future. If you're in the United States, it's going to cost about $140 to get the Situ Scale shipped to you, and that's a whole lot to shell out for a product that's hindered by an app that's simply too barebones. I like the scale itself and the idea behind it, and I wish I could recommend it, but this is not a product that most people are going to find useful until there's an app update that adds some much-needed features. In the Situ's current incarnation, it's less frustrating to buy a $15 food scale off of Amazon and use it with a food database app that's more functional. 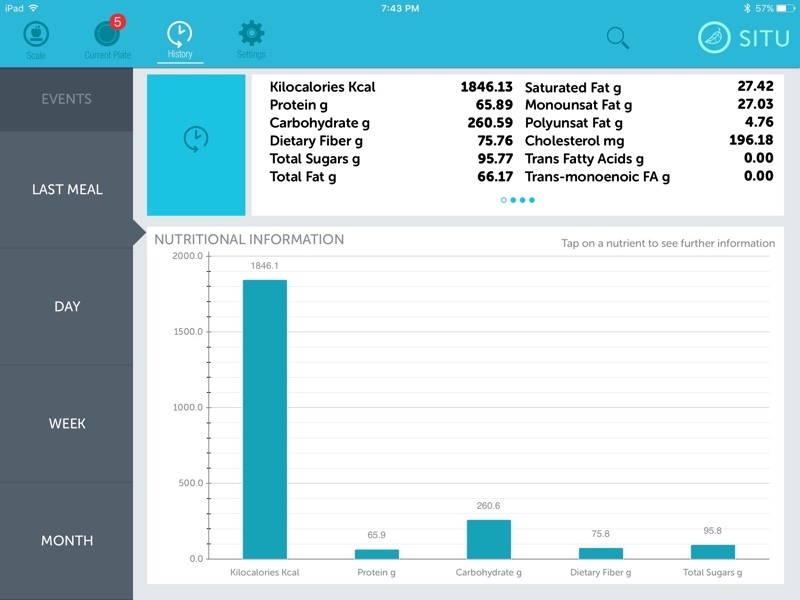 That said, if you're a person who eats a very simple whole foods diet, or a simple diet that's accompanied only by very common snacks and packaged foods one might find in a grocery store, you may find the scale and the app to be a useful tool that simplifies the process of nutrition monitoring. After the promised major app overhaul, the Situ Scale may become a lot more useful, so I plan to revisit this review once there's a new app to work with. A revamped, comprehensive app with a simplified interface that lets users enter their own products would go a long way towards improving the Situ experience. The Situ Scale can be purchased from the Situ website for GBP79.99, or approximately $125. Shipping is available worldwide, but it will cost an additional $15 to have the scale shipped to the United States. The Situ Scale recently received a major app update adding new features that were missing from the original app when I did my Situ Scale review. The Situ Scale app now supports adding custom food and dishes, with the ability to split dishes into individual portions. In the app, there's a new option for adding your own food items, such as snacks and pre-prepared foods that are not included in the Situ Scale database. Unfortunately, the Situ Scale still does not link to existing food databases, so you will need to enter all of the nutritional details for each custom item, but at least it's an option. To enter custom foods, you'll obviously need all of the nutritional information on the package. For fast foods, they can be added, but you'll need to look up the details yourself on the Internet. The custom food adding experience isn't exactly ideal, but it does greatly expands the capabilities of the Situ Scale, which previously had a very limited database. 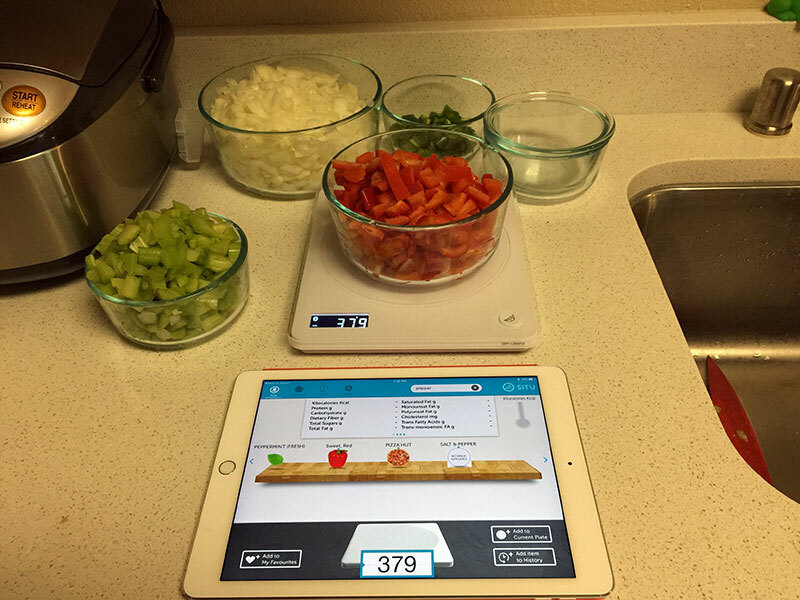 When I used the scale for my review, there was no way to prepare a large recipe for dinner and then add a single portion of that dish to the Situ Scale app. 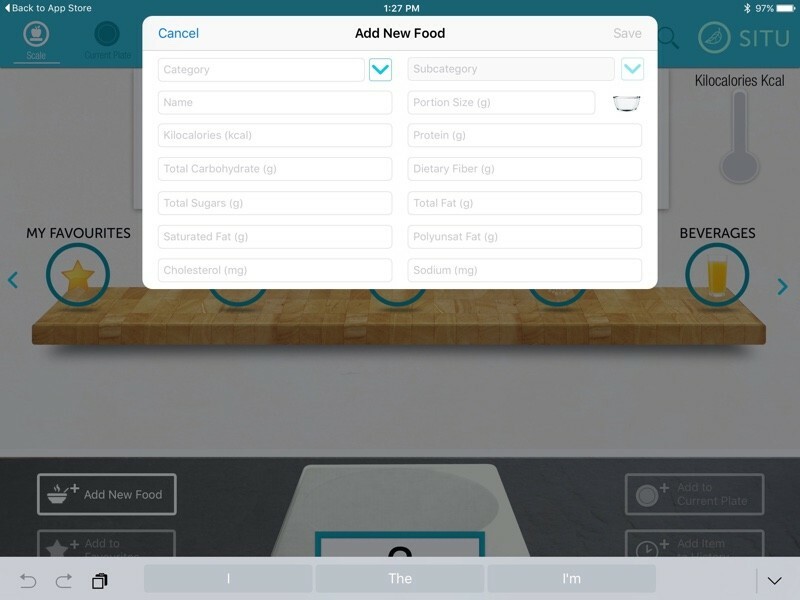 That's been changed with the addition of "My Dishes," which records all of the ingredients in a larger dish you're cooking and then allows you to save them as a combined dish. From there you can use the "My Dishes" section to add a single portion to a plate. I still find the Situ Scale app to be overly complicated and somewhat unintuitive, but the new features go a long way towards improving the overall usage experience. 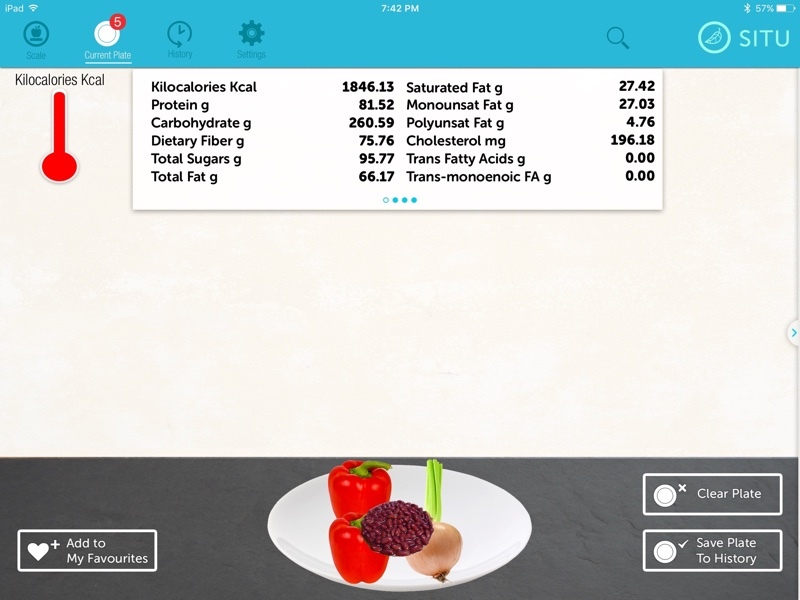 A much cheaper non-connected food scale and a comprehensive nutrition tracking app continues to be a viable alternative to something like the Situ Scale, but with the newly updated app, the Situ Scale can do things standard scales can't, such as calculate the exact calories in each portion of a custom-created dish. The Situ Scale is available at a 20 percent discount for the holidays, dropping the price to $95.99. To get the discount, use the code SANTA20. Nice concept, but better review. 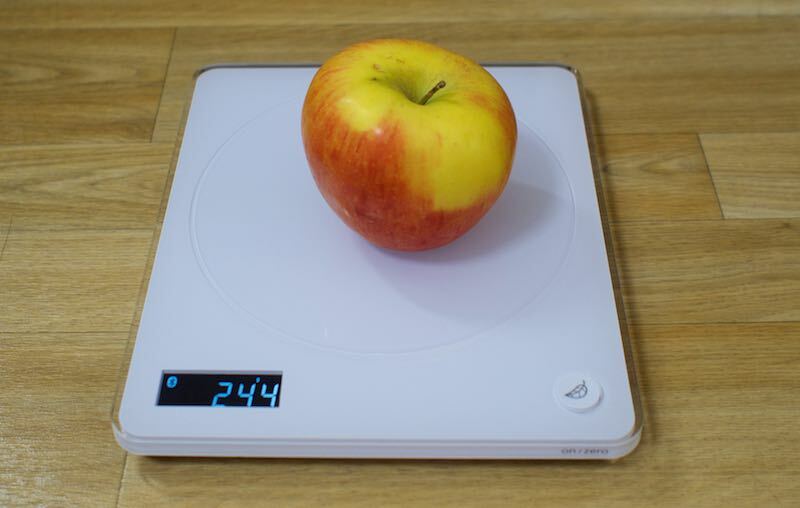 Who needs to measure the calorie content of an apple, anyway? A tub of lard, maybe. Anyone into nutritional fitness, CICO (calories in calories out) weight loss, people who bulk and cut while gaining muscle, anyone who closely follows their nutritional macros, people on doctor/hospital prescribed VLCDs, people with metobolical disorders, 75 million members of MFP (myfitnesspal), etc etc etc. Some apples are over 70 kcal each, 70 kcals in a 1200 - 1500 kcal diet is actually a sizable chunk. Except most UK retailers list the whole apple's kcals including the core. If you reweigh everything with just the core left then you have your actual calories eaten (minus the seeds and core). (over 80 lbs lost through MFP, CICO and following daily nutritional macros). 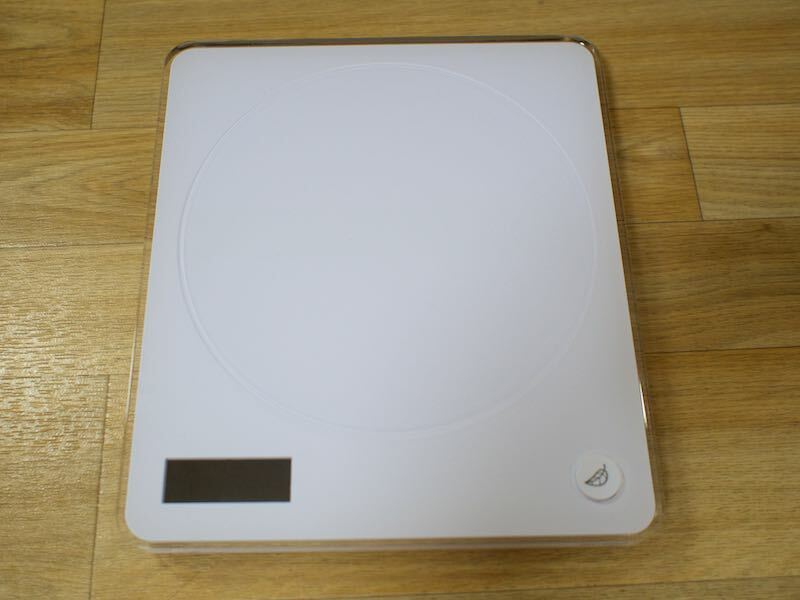 The Situ Scale ('http://situscale.com'), which originated as a Kickstarter Project ('https://www.kickstarter.com/projects/situ/situ-smart-food-nutrition-scale'), is an iPad-connected food scale that's designed to offer up a more precise picture of the calorie and nutrient content in the food you're eating by measuring portion size in ounces or grams and storing nutrition information in an accompanying iPad app. A very useful review, thanks Juli. I am very interested in something like this, but this doesn't look like the one!